Virtually every working editor understands that the job is defined as labor as well as creation, craft and, sometimes, art. 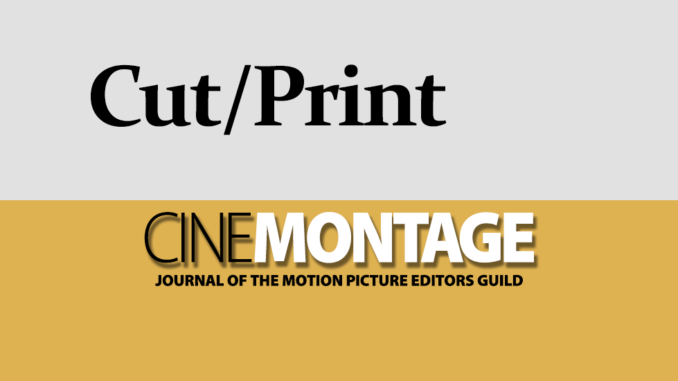 The Motion Picture Editors Guild ensures that this labor is recognized with credits, respected within the industry and compensated fairly, and ensures that members are not abused by employers nor left destitute in old age. This was not always the case, as is well known, and MPEG continues to find it necessary to fight for these rights today. 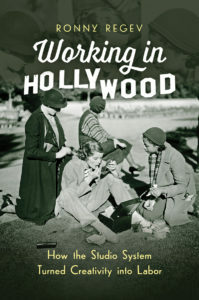 Working in Hollywood: How the Studio System Turned Creativity in Labor explains not the rise of unionism in filmmaking, but rather the confluence of many factors that made unions necessary. Ronny Regev, an assistant professor in the history department at Hebrew University in Jerusalem, has written a meticulously researched book that draws on theories of industrial mass production as well as varied accounts of the film business and studies of movies and culture. She states: “Historians have paid much attention to the ways in which culture has become an industry and very little attention to how producers of culture have become modern workers.” This distinction may seem to put too fine a point on the subject — as scholarly writing very often does — but for those in the business, Working in Hollywood offers a fascinating way to learn how artists and craftspeople came to be regarded as workers on an assembly line, and the ways that assembly line had to be different from those in an auto plant or textile mill. Working in Hollywood is a sincere and conscientious research achievement. A bibliography would be useful, but given that Regev footnotes hundreds of sources in each of the six main chapters, it would be almost overwhelming. In her introduction, the author says that the history of Hollywood “lies mostly in carbon paper sheets.” These memos and notes are analogous to the way that today’s history is written in tweets and e-mails. Fortunately for everyone, carbon copies last longer than similar rants delivered electronically, and Regev has scoured the best repositories of those papers. The reader is treated to the precise words of many Hollywood figures, thanks to the heroic preservation and cataloging efforts of institutions such as the Margaret Herrick Library at the Academy of Motion Picture Arts and Sciences, the Louis B. Mayer Library at AFI, the Warner Bros. Archive at USC and the National Archives, home to the records of the National Labor Relations Board. To achieve her goals for this book, Regev had to spend thousands of hours sifting through these materials. Although it may seem obvious that the director was in charge, and had some leeway on the set even under the most rigid studio regimes, Regev explains why this was so, using the business’ economic framework. Writers, actors, editors, cinematographers and others were just as likely to be as creative as directors, but their job functions could be compartmentalized and interchanged. Scripts could be written by various writers — sometimes working simultaneously or in succession. 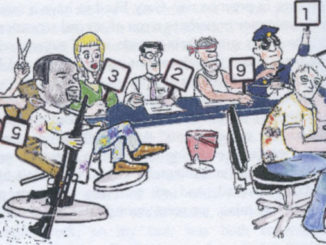 Actors were chosen by studio producers and given roles that fit their type or image. Costume designers could work alone to create clothes that fit an actor or period, but they also had to carry the studio’s own “look.” And editors could be completely isolated, often knowing nothing about a project until they received dailies, and then creating cuts meant to please studio heads. Major directors could be involved in the editing, but run-of-the-mill pictures were meant to be completed speedily and to the specifications of the producer. 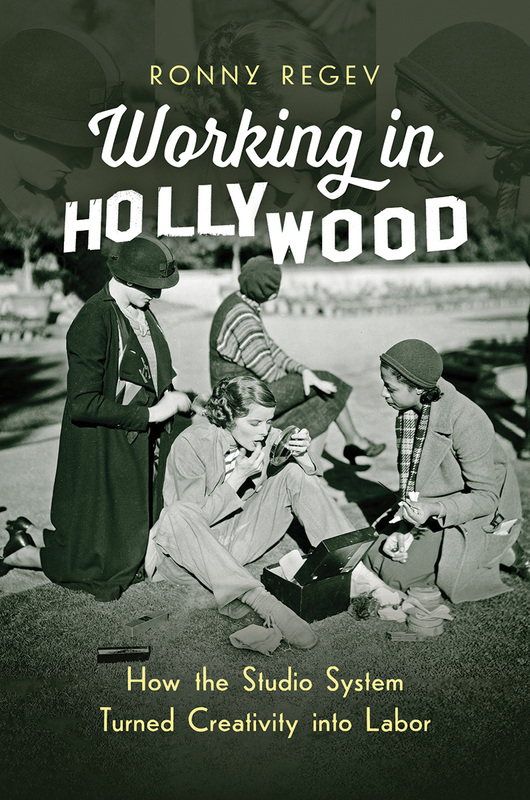 Working in Hollywood is devoted to the time before and during “The Golden Age of the Hollywood Studio System,” but some of the norms then in effect influenced media making for decades and continue to have force within the industry today. In a final chapter, “Disintegrating,” Regev details how the transition to what she terms a “film by film” production method replaced the studio system. Hollywood moved to a business model that employed executives, managers, lawyers, lot maintenance personnel and labs full-time, while ending long-term contracts for writers, actors, set designers, editors and other creatives. Filmmaking, and later television, became post-modern businesses, essentially composed mostly of freelancers. In doing so, it was a very early forerunner of what we now call the gig economy. This book describes some of the factors that created this change. Most are well-known — the 1948 Paramount anti-monopoly decree, the rise of television, filmmakers’ desire for creative control — but with the author’s emphasis on economics, the book also notes how changes in federal tax law for both corporations and personal income made it financially advantageous for filmmakers to form their own independent companies. This analysis rings true but seems to imply that conditions became better, at least for actors, directors and writers, as the studio system faded. Regev cannot be criticized for staying within the time frame and subject she set out to explore: “How did Hollywood work?” Good writing demands limits of scope. 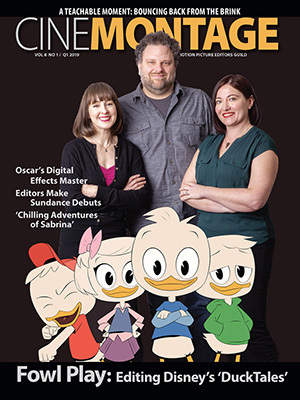 Still, many highly creative people in Hollywood, such as costume designers, musicians, hair and makeup, production designers, sound recordists, mixers and engineers — even editors and cinematographers — found that they were often still treated as employees on a line, albeit a much smaller one. They were, and still are, working for the boss of a non-studio (often non-union) production at whatever salary and hours can be negotiated, often subject to immediate dismissal, and without the benefits of full-time employment. Some at the very top of their professions are fortunate to find repeated good jobs with high-powered directors or actors who truly respect creative input from employees. Many, many more are workers, subject to the constraints and abuses of the studio system, but without any of its guarantees. In Working in Hollywood, Regev includes a chapter each on producers, directors, writers and actors, but fails to deal with other creative jobs, including post-production. 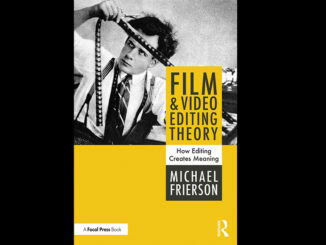 This focus on the most publicly visible filmmakers is natural for a scholar who is gleaning information from major archives, and the reader can easily extrapolate how the same factors that industrialized higher-profile jobs also transformed post. The histories of post-production arts, in most cases, have yet to be written. 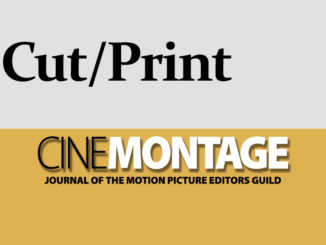 The Motion Picture Editors Guild, founded in 1937 as the Society of Motion Picture Film Editors, fought a set of battles endemic to the major studios. And 82 years later, the parameters of the battles may have shifted, but the fight for workers continues. Betsy A. McLane is the author of A New History of Documentary Film: Second Edition. She served as the project director for the American Documentary Showcase, and was the executive director of the International Documentary Association. Contact her at betsy@documentarydiva.com. Editors: Do You Know Your Fabula from Your Syuzhet?